Writing and drawing is apart of every young child’s life, but do you know why it is so important for a child’s development and how you can implement mark making in your playground? Through mark making, children develop hand-eye coordination and learn how to hold a pen properly developing fine muscle controls and motor skills. Imagination and creative thinking is a lifelong skill. Your children will feel calmer and happier when they have the opportunity to express themselves without using verbal communication. It gives them a chance to express their thoughts and feelings and overcome frustration and anger. Installing an Outdoor Chalkboard or Whiteboard into your playground will invite children to draw and write while outside. Your children will become inspired by the huge blank canvases which are just for them and their imaginations. For Literacy and Mathematics, add letters and numbers as part of adult-led learning to increase children’s recognition and understandings of these key areas of learning. Encouraging children to work together when expressing their artistic skills is a natural way for children to further develop their language, PSED and communication. An Easel Table provides a unique social setting for children to sit together and interact over their artistic creations and feelings. 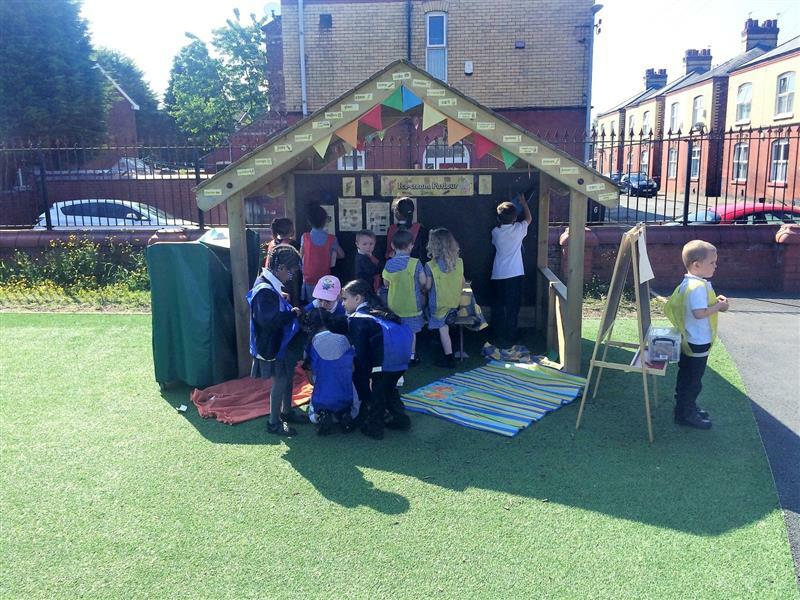 Having benches either side encourages children to discuss what they are drawing and enables them to share ideas if others are struggling with things to draw or write. View our full range of Playground Equipment for Mark Making here. Manipulating sand or mud is an exciting way for your children to express themselves and create a unique form of mark making. This is important as it can involve children who may not enjoy writing or drawing as much as others. 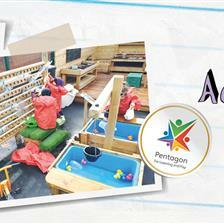 Take a look at our comprehensive selection of Messy Play Playground Equipment here. One fantastic way to develop children’s mark making skills is to involve it in role play activities using real-life scenarios… another great way to also develop their understanding of the world. 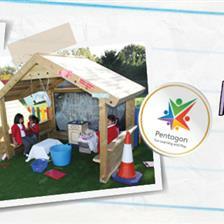 A Play House is an open-ended resource which can be transformed into absolutely anything. For example, you could turn your Play House into a Bus Station which needs bus times or a shop which needs prices for different items. Another great idea is to turn your Playhouse into a Post Office complete with envelopes, paper, pens and even a sign. 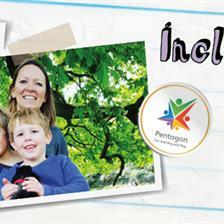 Set children a challenge to write letters and addresses in time for the postman. You can also add mathematics by asking children to write down the prices of different stamps. 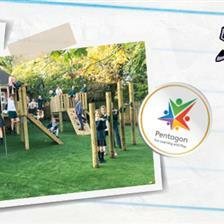 We have a lovely range of Role Play Playground Equipment you can take a look at here. 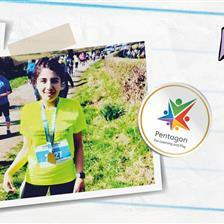 At Pentagon, we understand the areas of learning and how they contribute towards a child’s development. Take a closer look at our comprehensive playground range here and feel free to Contact Us to arrange a free consultation.